All the white powders are only one part of the ingredients needed for the recipes of this book (see here where I got them). 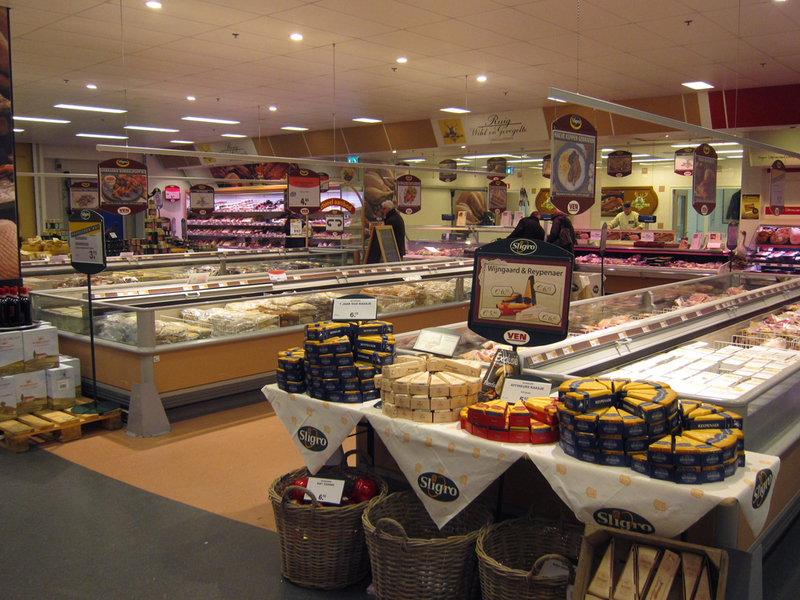 There is also the more traditional food fare: meat, fish, fruit, vegetables and many more. Regarding these type of food I feel really lucky with the stores in close proximity to me. 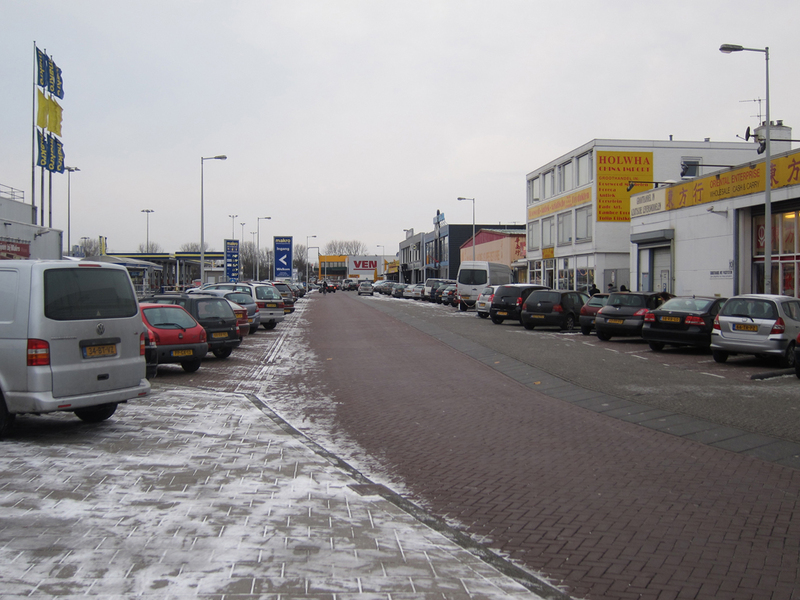 You have a number of wholesalers in southeast Amsterdam with great produce. Walking these wholesalers I feel like a kid in a sweet shop. 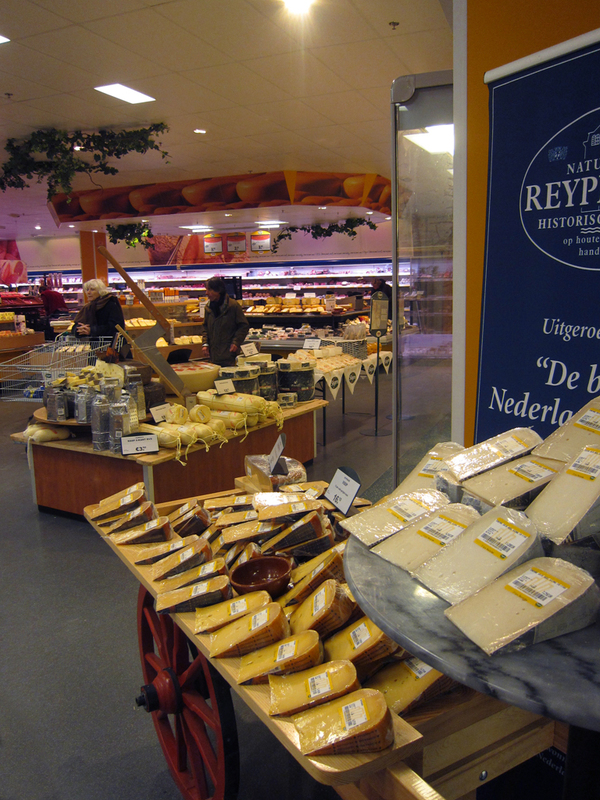 Quality cheeses, poultry, game, meat, fish, shellfish, vegetables, dried products, oils, vinegars, chocolate, it’s all there. 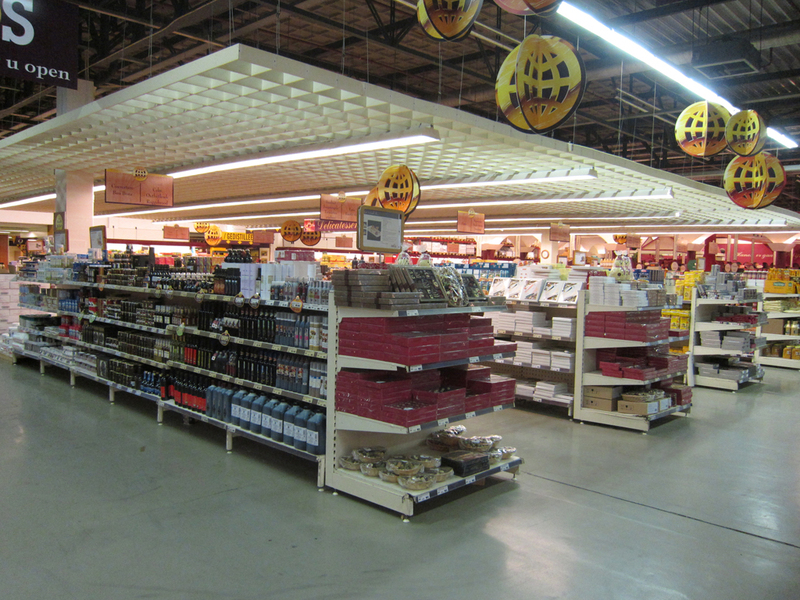 On the top of my list is the chain Hanos, reminiscent of quality indoor markets in France. 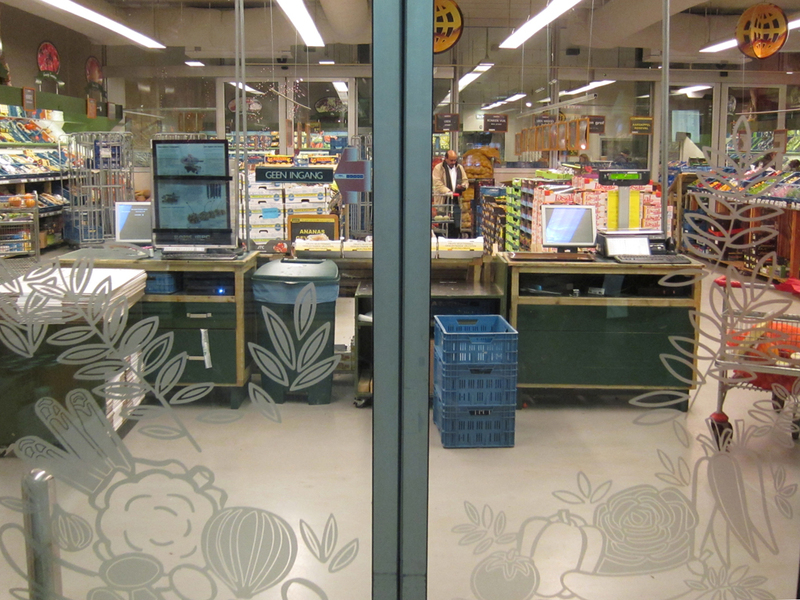 It sells lobsters, hand-dived scallops, Bresse chickens, Anjou pigeons, Livar pork, Iberico pork, baby vegetables, Valrhona chocolate, the products from Texturas and Sosa and all the stuff you’re not yet aware you’re going to need. Countless times I was in need of something, often sold solely in upscale specialty stores, and ended up scooping it up at Hanos. 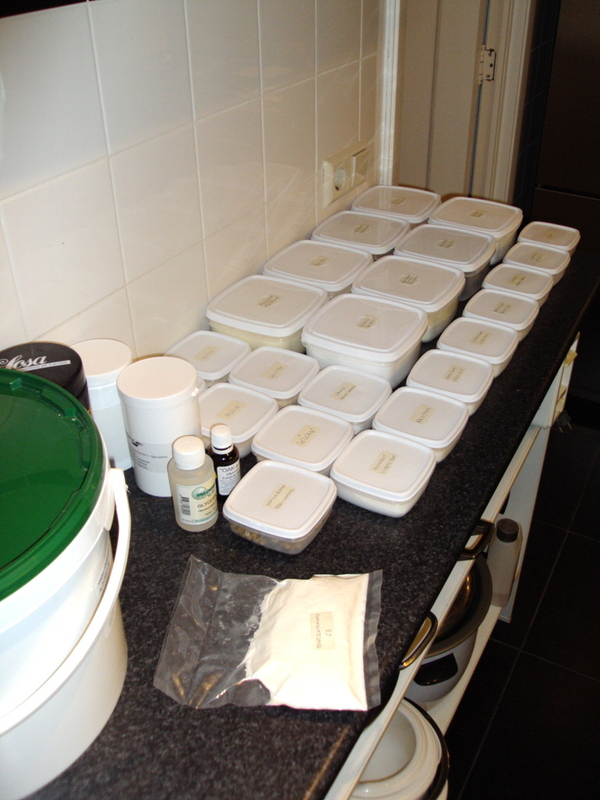 In the end it saved me a whole lot of trouble hunting down ingredients in places all over Amsterdam. 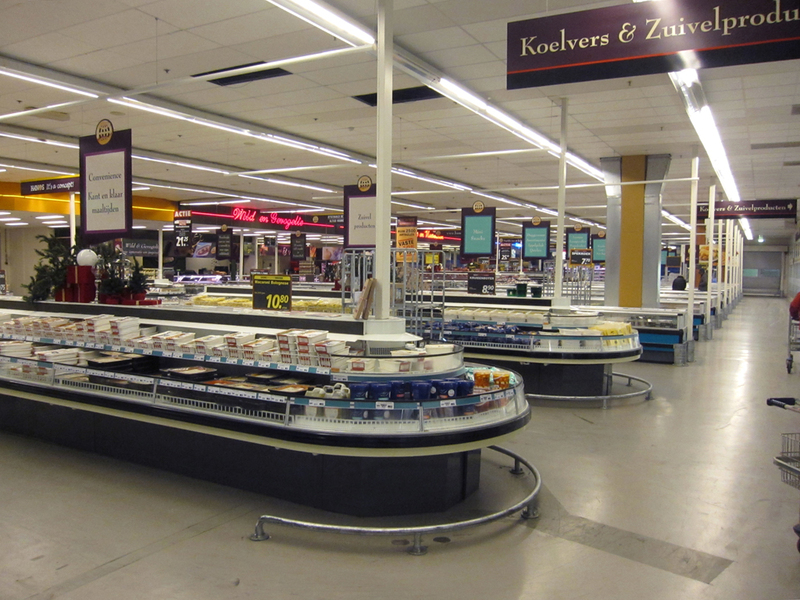 Hanos is divided in a refrigerated and room temperature section. 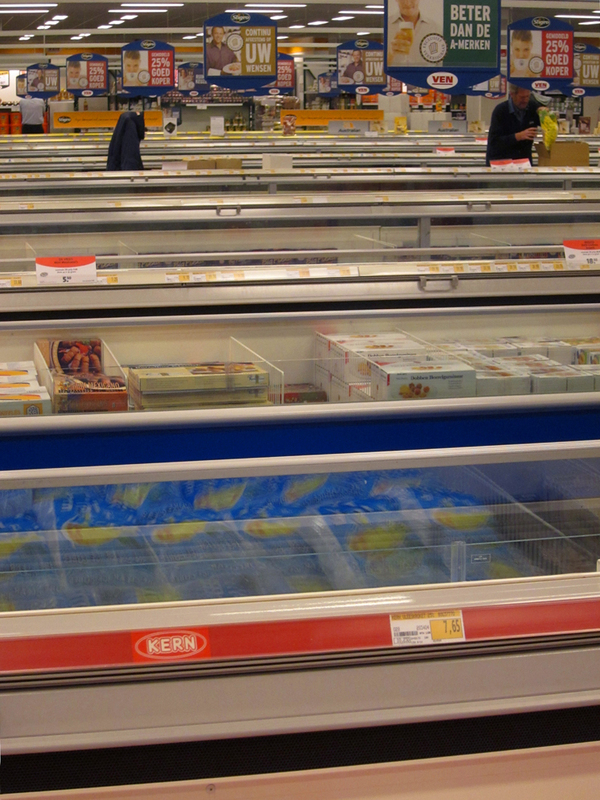 The cooled stuff is divided in cheese, poultry & game, meat and fish. 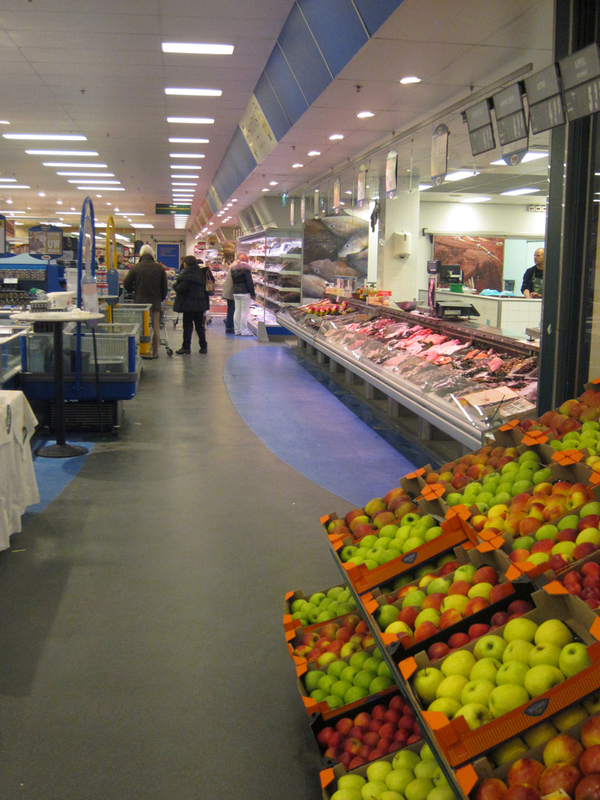 Counter of the poultry section. 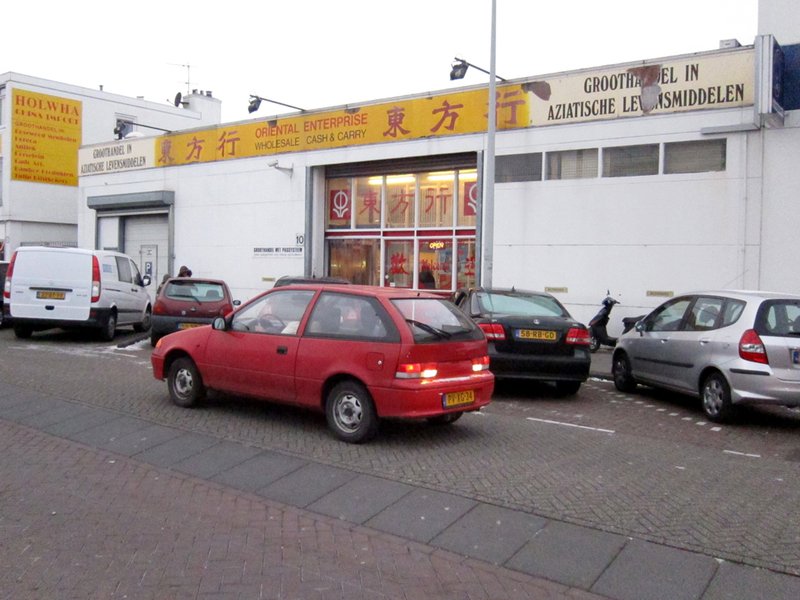 Quail, pigeon, duck, partridge, wild boar, chicken, hare, rabbit, deer and foie gras, it’s all sold here. 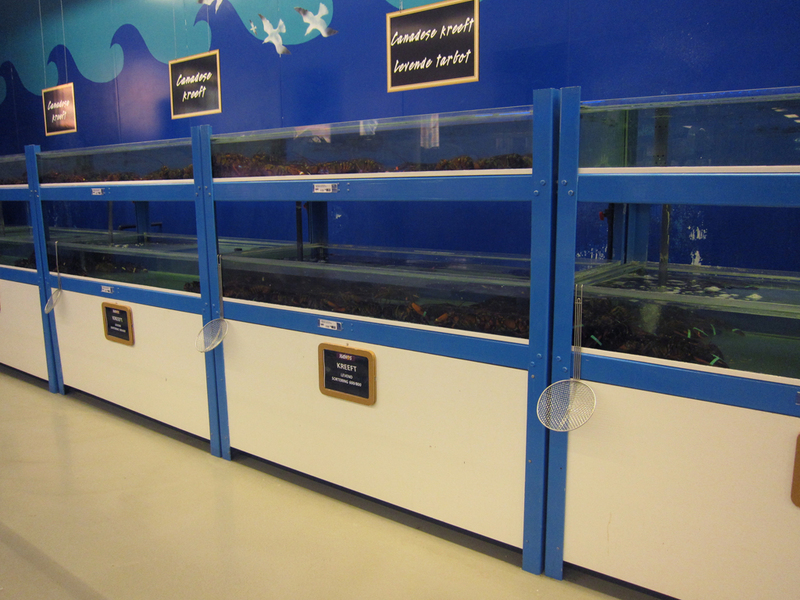 Lobsters in numerous weight classifications. 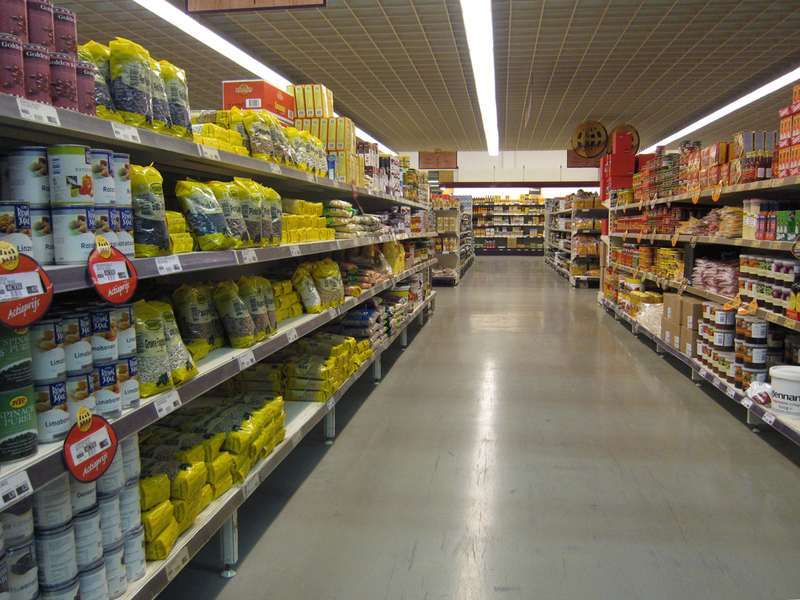 Room temperature section with aisles and aisles of stuff. I got Valrhona chocolate, creamed horseradish, powdered vinegar, pearl barley, Sosa and Texturas products, transglutaminase, tinned hearts of palm, sweet chestnut puree, unrefined sugar, pommery grain mustard and what not here. 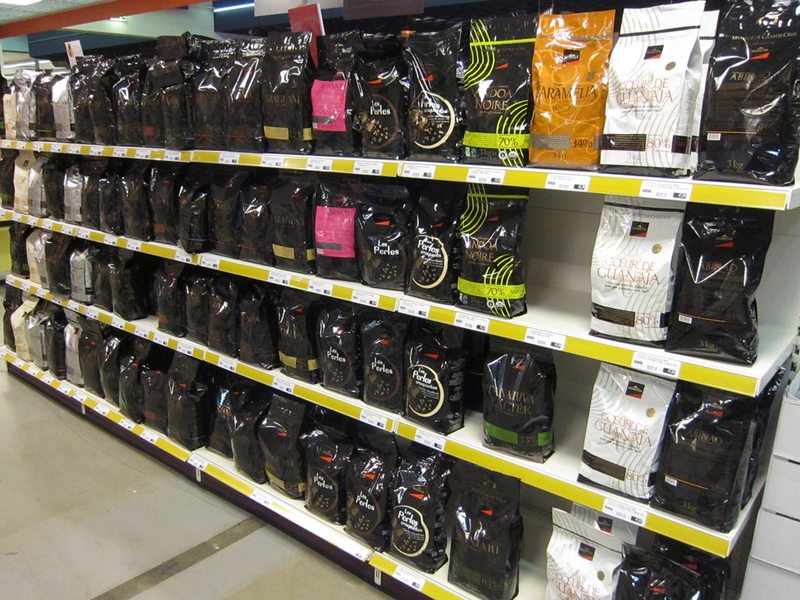 A whole rack full of every type of Valrhona chocolate. I can gaze upon this for hours. 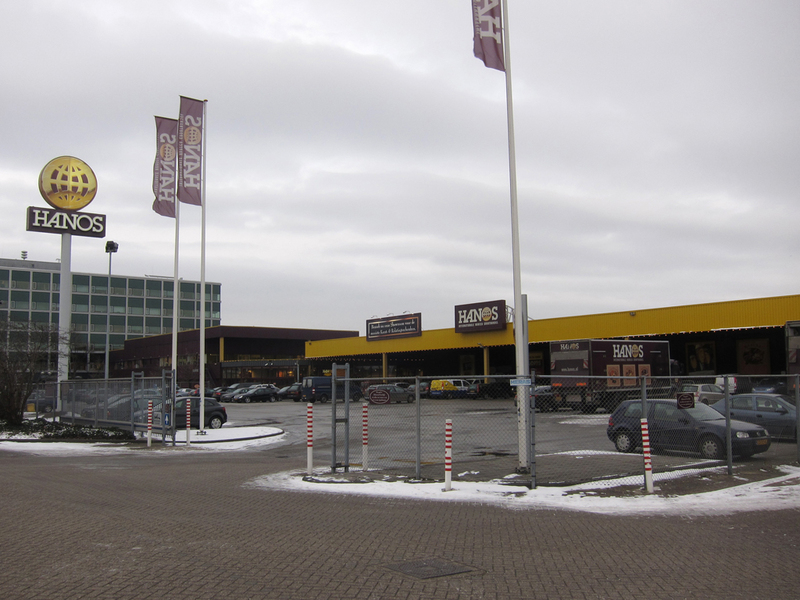 Close to the Hanos you have a trinity of wholesalers: the Makro (don’t visit it often), the VEN/Sligro and the Oriental Enterprise. 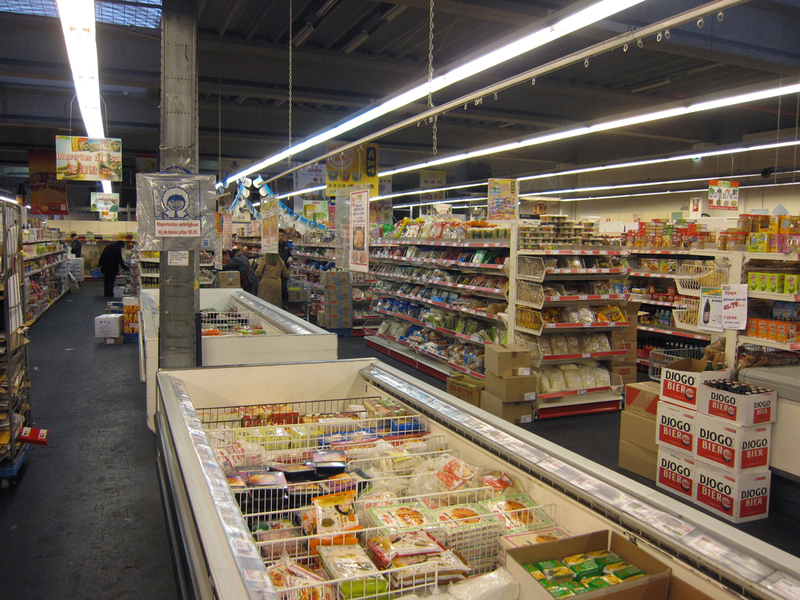 The Oriental Enterprise is your typical large store with Asian (their own branding) produce. Today I was able to get fresh lily bulbs there. I love these stores. 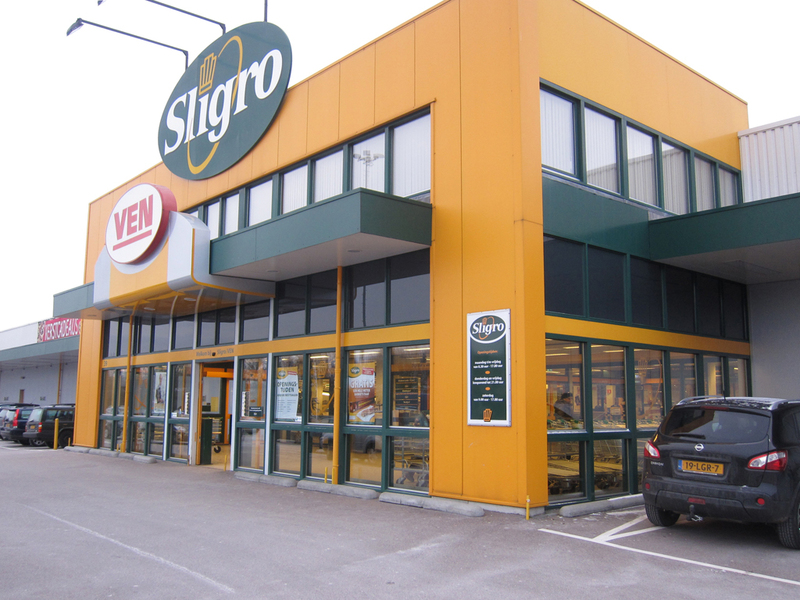 The VEN/Sligro is the other wholesaler I frequently visit. It’s comparable to the Hanos, but a bit more organized with a lot of stuff already packaged and an altogether different feel. More consumer-oriented, in contrast to the restaurant focus of the Hanos. I must say the fish of the VEN is absolutely incredible, and in my opinion, better than the Hanos. I got the fresh sea urchins here for example. 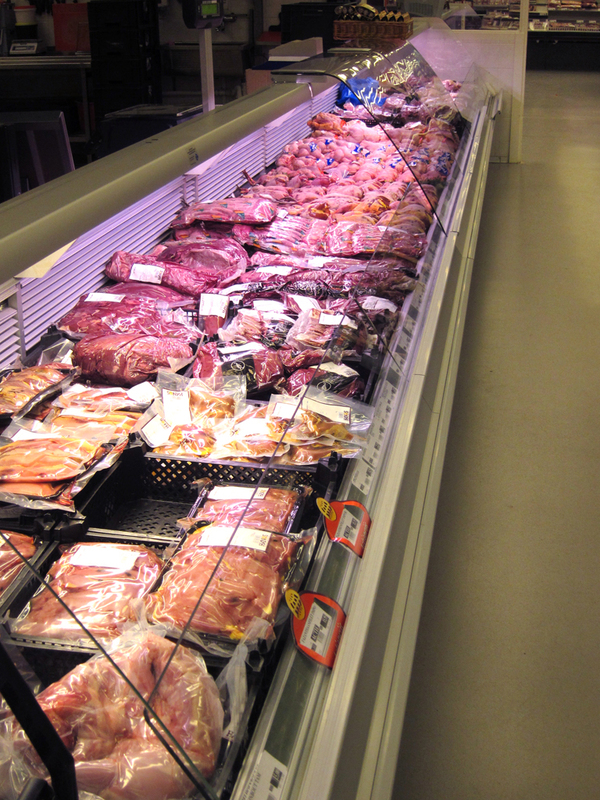 The meat section is also great with aged, grass-fed Irish beef. They also started selling American, corn fed beef in (I think) the past year. 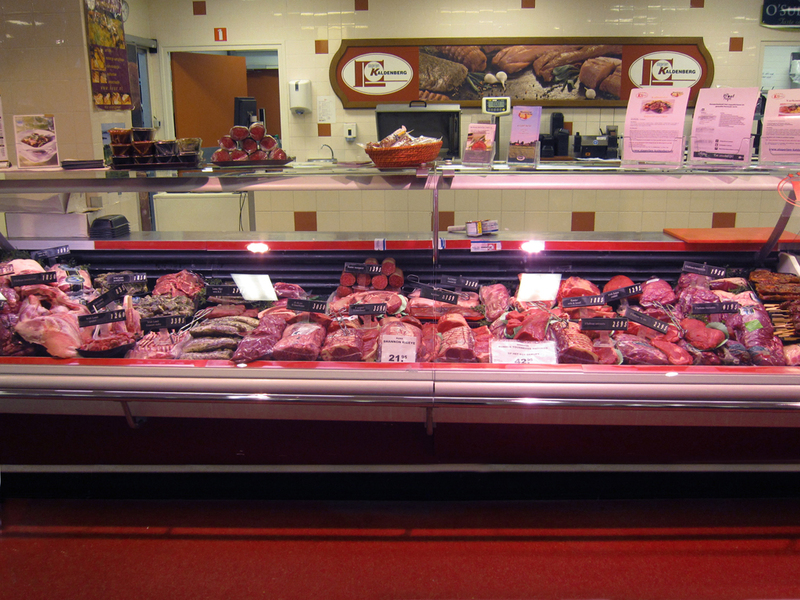 I often have to resist the urge to jump on the counter and roll around in all the meat. It has such an enticing smell. Really butter like. Incredible. The only downside is you have to pay for the quality they offer. My solution is buying ‘lesser’ cuts, like beef tongue, pork belly, veal cheek, lamb shank, lamb neck and once in a while get Côte de Boeuf or lamb rack or… (you know the deal). Poultry and cheese. Cheese! My oh my. 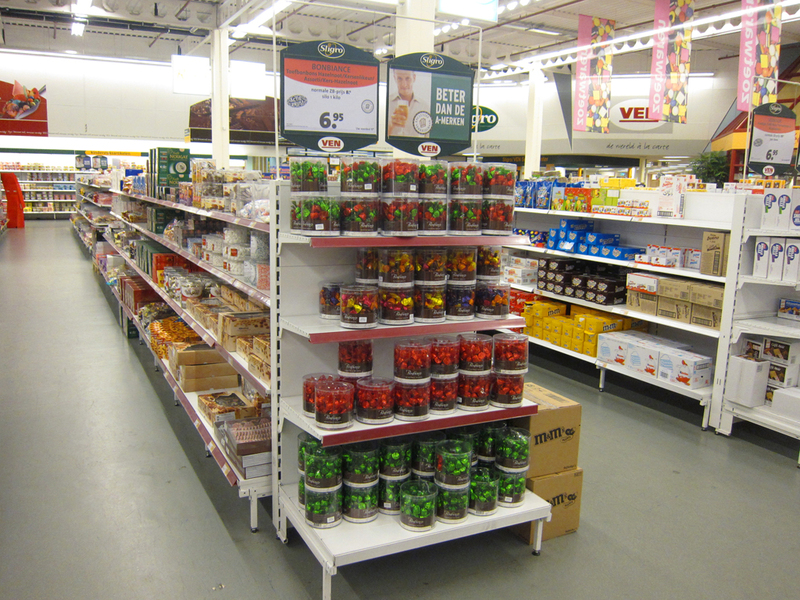 Rows and rows of candy. Don’t take your kid(s) to these stores. What I also love, as I mentioned above, is the range of products the VEN and the Hanos stock you often only find in specialty stores. 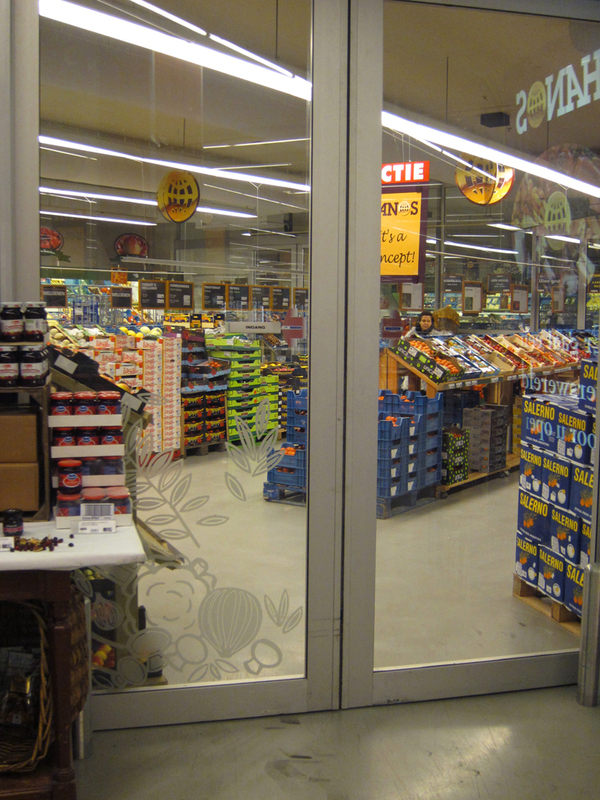 Almost every fruit puree of Boiron for example (and other non pureed frozen fruits) is sold in the freezer section of both wholesalers. I would have no clue where to purchase Boiron products in the centre of Amsterdam and if I did the price would probably be sky-high. 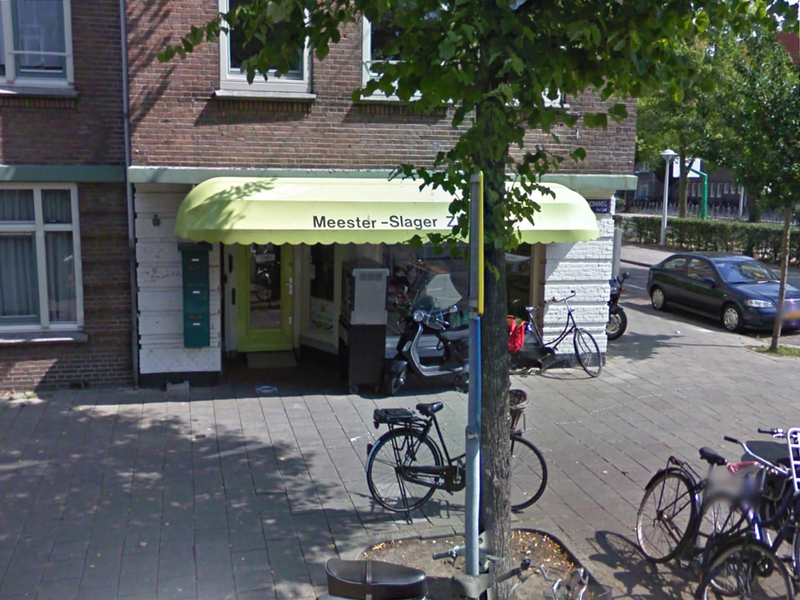 A final store I frequently visited when keeping up this blog is the butcher ‘Meesterslager Zikking’, a few blocks from my home. The owner is the friendliest guy you’ll ever meet and he helped me, among other things, to pig’s head, lamb racks on the bone (I discovered how hard it is to find a butcher buying and butchering whole animals) and they generously answered all my vacuum packing needs before I got a machine myself. So, when not online, I shop in these stores. Hi, great blog! I have a lot of people contact me for Heston’s recipes which I featured on my blog a few years ago, lots of them I pass on this blog to. The time and effort you put into this amazes me. Great job! For Heston fans in the UK I recommend http://www.creamsupplies.co.uk/. I’ve just discovered them whilst online Xmas shopping for Mrs ITs Food and they have a great selection of molecular gastronomy ingredients and gadgets. Well worth checking out. Hi, it’s been great following your progress, I am also a MG fan. I was wondering where you bought your Gellan F. Also if you know other places where you can get it cheaply could you please tell me. I am going to attempt the hot and ice tea and I have no Gellan!!! Would there maybe something I could substitute for Gellan? Hi, it will probably be obvious when you explain it, but MG? I would not substitute gellan F for something else, the recipe won’t work or you have to experiment for ages yourself. I got a large sample from CP Kelco, but only after a lot of phone calls, they don’t just send it out. You can easily get ‘Gellan’ from the Texturas products (El Bulli), which is gellan F. It isn’t one of the cheaper products, so maybe look out for websites that sell it in smaller quantities (I found a Dutch one that buys every Texturas product and resells it in smaller quantities). Haha MG = Molecular Gastronomy!!! Ok thanks yeah, I’m in Australia so the postage is always expensive. I tried making Hot and Iced Tea with agar yesterday and it kinda worked!!! I might try finding some gellan in a specialty cooking store or somewhere like that. BTW please don’t stop blogging, you should go through another cookbook like Alinea or something. Oh and I recently received a cookbook as a gift which uses and describes carbonised vegetable powder is! It sates: Vegtable Carbon, derived from burnt vegetable matter, this is used as a food colouring. It’s available from specialist cake decorating stores. Sorry, a bit to late but there you go! He Oli, thanks man for the tip on the vegetable powder. Maybe I’ll look into it one day, cause I have a whole bucket full of N-Zorbit M Maltodextrin left. This book is it. No more cooking through for me. Not something for you? Thanks for all the huge pleasure your blog has given me over the last few months. Having eaten at the Fat Duck, I found it all very inspiring. I have the cookbook and will have to think about attempting something. Thanks man. I’m here to pleasure you, hahaha.